Two of the country's biggest companies, Google and Walmart, are teaming up to mount a challenge against their common foe — Amazon. Beginning in late September, Walmart shoppers will be able to do their shopping via the Google Home virtual assistant. All they'll need to do is link their Walmart accounts through Google Express, the company's online shopping mall, then shop using their voice — or their keyboard. "When it comes to voice shopping, we want to make it as easy as possible for our customers," said Marc Lore, President and CEO of Walmart U.S. eCommerce, in a blog post. "That’s why it makes sense for us to team up with Google. They’ve made significant investments in natural language processing and artificial intelligence to deliver a powerful voice shopping experience." It's a clear swipe at Amazon, whose voice-controlled virtual assistant Alexa is a category crusher, controlling around 70 percent of the market. "Voice is still a tiny, fractional share of the online market,” Craig Johnson, president of Customer Growth Partners, a retail consulting firm, told NBC News. “If you’re Walmart and trying to build your online presence, because they are well behind Amazon, this gives them another go-to market strategy." The unlikely alliance means that Google, which has lagged behind in e-commerce, will benefit from Walmart's massive selection of goods and a network of 4,700 stores and fulfillment centers. For its part, Walmart gets to leverage Google's technology, allowing it to take a giant leap forward when it comes to competing with Amazon's prowess in voice ordering. 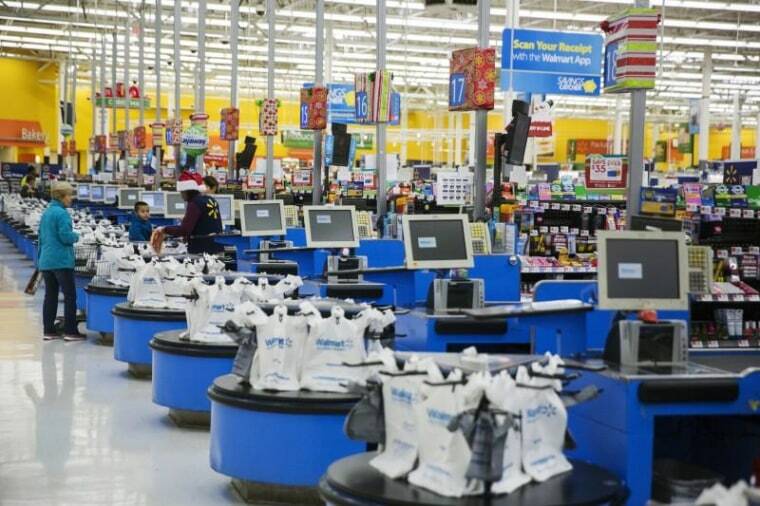 Lore said he expects Walmart will continue to innovate around the online shopping experience, with plans to use the retailer's 4,700 stores and fulfillment centers to give customers new options. Those will include the choice to pick up certain items in store — possibly at a discount — all by kicking off the process with those two key words: "OK, Google." "We know this means being compared side-by-side with other retailers, and we think that’s the way it should be. An open and transparent shopping universe is good for customers," said Lore. In addition to using voice, an "easy re-order" feature will allow customers to quickly re-order preset baskets of their regular essentials — such as a favorite toothpaste or shampoo. The companies also plan to roll out "highly personalized shopping recommendations" based on previous purchases, even those made at Walmart.com or in an actual store.